Mark Stewart is the joint owner of Left ‘n Write and Wise Owl Toys, two stores located in Worcester. 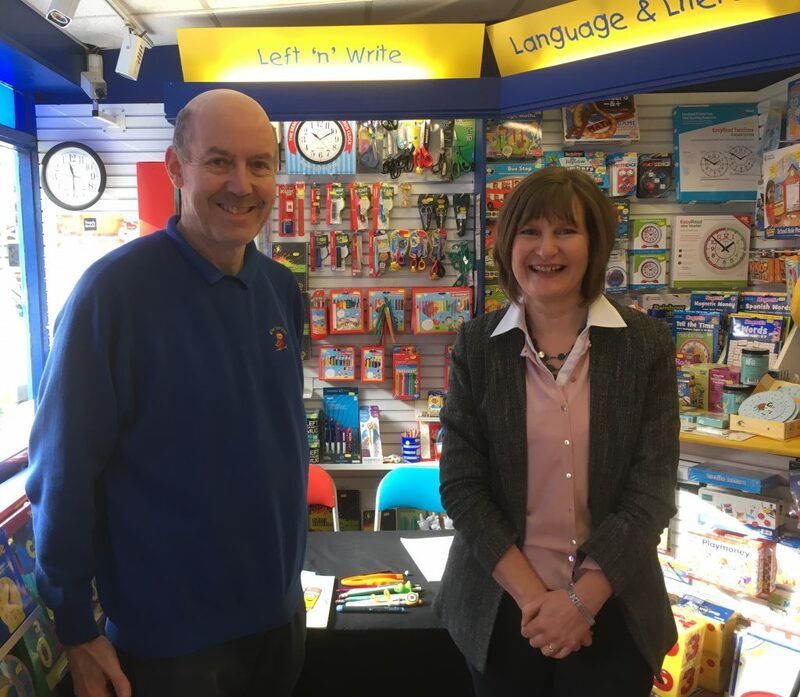 Left ‘n Write is a small independent run shop specialising in the advice and provision of everything left handed, with a focus on helping left handed children excel at writing. Mark set up this business with his wife Heather, a former teacher, in 1994 and his passion for ensuring left handed writers receive the support they need stems from the struggles they faced when their own left-handed son was learning how to write. We have worked closely with Mark for several years, from using the Left ‘n Write store inside the Wise Owl Toy Shop, Worcester, as a location to host our free handwriting workshops, as well as working closely together when creating campaigns to challenge the Department for Education (DfE) on the teaching of handwriting. Mark has been campaigning to get specific teaching for left handers as a statutory requirement on the National Curriculum for several years, as well as it to be taught as part of the Initial Teacher Training. As handwriting experts, both myself and Mark have come across many myths on handwriting, which we want to dispel, to help ensure all children, teenagers and adults are able to master legible handwriting, whether they are right or left handed. 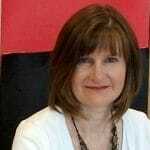 Being an expert and so passionate about left handed writers, we wanted to get Mark thoughts on 4 of the common handwriting myths we have heard about left handers. We are delighted that we could work with Mark to gain his thoughts to help us set the record straight on these myths. Myth 1: A left hander with a poor grip will sort out their technique eventually. Some left-handed children are shown or manage to achieve a good grip. However not all children do (see photos). It cannot be left to chance! 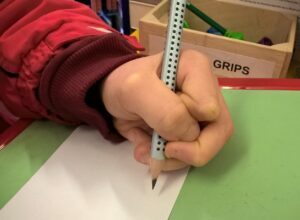 I believe that all the components of handwriting are critical for a left-handed child, including grip, where the pencil is held in the hand, the angle of the arm and the angle of the wrist. Encouraging a good grip at an early age will minimize potential problems later. If teachers have not been trained to help left handed children, then how can parents be expected to know how to show their child how to master handwriting? Although it is very simple to show a child how to get a good handwriting technique, right handed parents and teachers are not necessarily aware of how to help left handers. 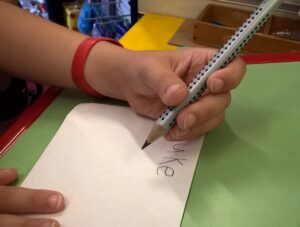 Usually in the Early Years, children use pencils to write with and the letter formation is usually ok.
Parents and teachers tend to look at WHAT is written (a tick-box exercise for the school) but fail to look further. Teachers/parents must look at HOW the writing is produced. Buying a non-smudging pen only puts off sorting a good technique which, once obtained, will last the rest of their lives. I believe it is better to spend a few days or weeks homing in on the technique rather than a lifetime of buying “non-smudging” pens! I strongly believe in equal opportunity and have been campaigning for this for many years! As right handers (RH), poor handwriting techniques are mitigated because the RH is always writing away from the writing. The left hander (LH) is coming from behind the writing and therefore needs a different technique. It can therefore be argued that the LH needs more help and guidance than the RH. However, in the National Curriculum where the section of handwriting is statutory for RH, it is shown as NON-statutory for LH. It appears this inclusion is an afterthought. The person including this section obviously doesn’t fully appreciate the potential difficulties and specific teaching technique required for the LH to achieve a good handwriting technique. This lack of appreciation and equality for the LH is symptomatic of the attitude from the Educational Establishment. Further to that, the Department for Education (DfE) admits that it has no figures on the number of LH children in the education system nor whether being LH has an impact on likely educational achievement. Even though discussions were held and input included with the Carter Review on Ministerial suggestion, when the new Initial Teacher Training Curriculum was published, there was not a single mention of left handers. When one considers that left handers are probably the largest minority in the entire school population, it appears that the DfE are apathetic in their response. Surely, improving the child will improve the school which improves the country!